Today, Maliko and 12 Ryno athletes will be heading out to run the Two Rivers 100 put on by our local Two Rivers Dog Mushers Association. The race will begin at Chatanika Lodge then climb 50 miles up and over Iowa Dome to the first checkpoint at Two Rivers Lodge, our local watering hole. After a mandatory 4 hour rest, Maliko and team will complete another 50 miles on our home training trails to finish at Pleasant Valley Store. Tessa will be Maliko's all star handler during the race- thank you Tessa! Who are the canine athletes? Maliko will be joined by Fire and Katy in lead, Jana and Drummer, Supai and Kindi, Rucu and Niagra, Lefty and Belle, and Charley and Pirate in wheel. 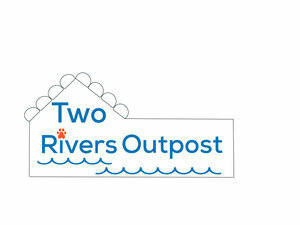 While Maliko is racing, I will be helping manage the first checkpoint at Two Rivers Lodge. This means trying to organize and park 40 teams on a small pond next to the restaurant. That's 480 dogs! Logistics won't end there. On Saturday is Quest Food Drops, so I'll be finalizing and transporting all of our Quest 300 food drop bags. Derek has signed on as trail sweep and will be following the teams on snowmachine, picking up trail markers and making sure everyone arrives at Two Rivers Lodge and Pleasant Valley Store safely.